I take issue with this article (https://www.theglobeandmail.com/opinion/heres-how-to-make-sure-torontos-king-street-is-king-again/article37764135/). 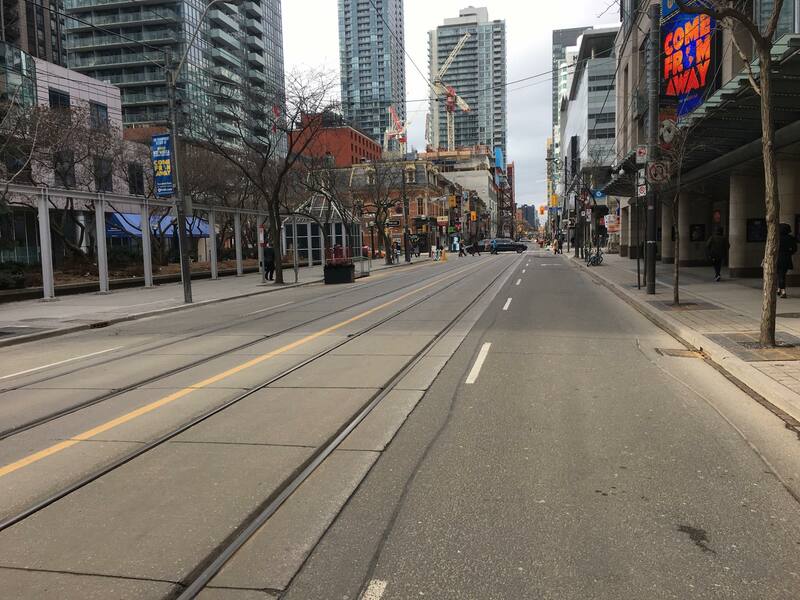 The King Street Pilot Project is a ‘ban on cars’. It doesn’t matter that cars can access King Street a block at a time. This bizarre program was set up to be so incredibly inconvenient that it would in essence operate as a ‘ban on cars’. Take a look at four photos my office took on Monday January 29th (9am, 11am, 2pm, and 4pm). King Street looks like a set for a ‘post nuclear event’ movie. 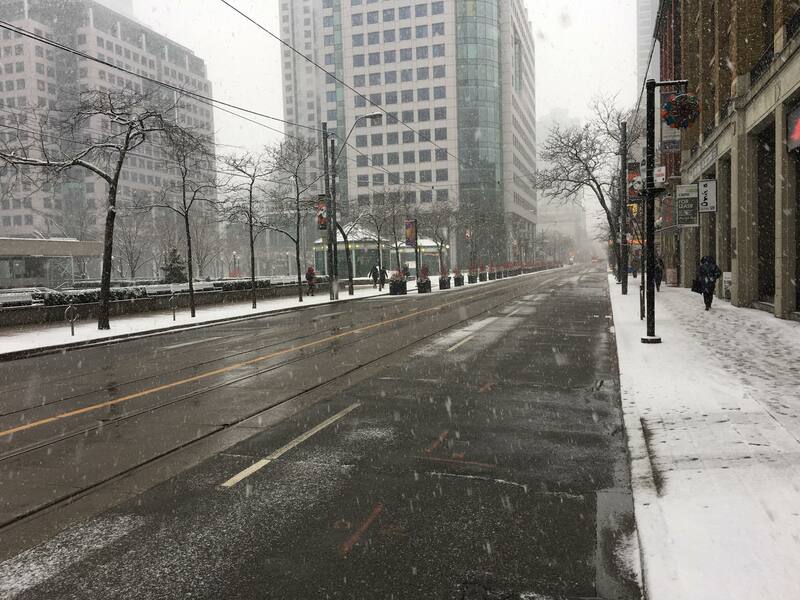 Not a car or person on the street. Stop deluding yourself that this is a win. It’s a blowout. King Street has been murdered along with all the amazing retail business that made it so amazing. People make a city. 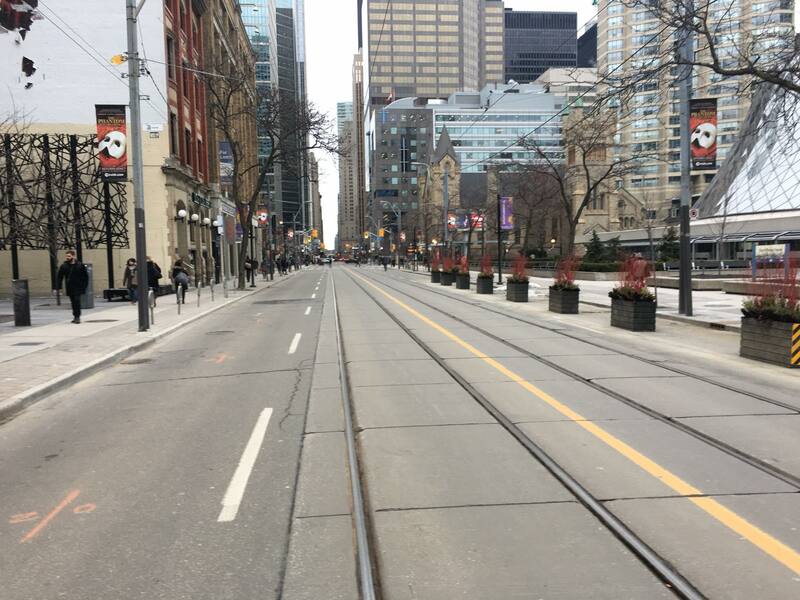 There are NO PEOPLE on King Street. It is absolutely a necessity that we wean Toronto off car dependency and onto other transit. First, we need the transit. Street cars are not the answer. Change this bad project now. 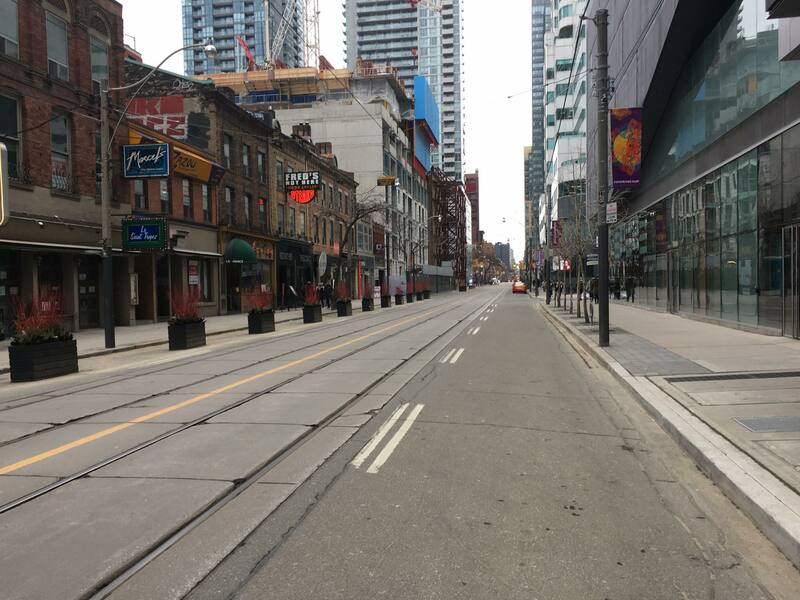 Toronto’s most important street is suffering. As Toronto goes so goes Canada. Its simple, we have a rush hour problem, ban cars during the rush hour.